Tony Anderson, left, and his son Adriel lead Fk-Lightplanes USA, based on North Perry Airport in Pembroke Pines, Florida. 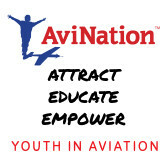 Tony has been active in ultralight and light-sport aviation for years, previously a flight school in the Miami area. They've now teamed with Fk-Lightplanes of Germany to import the Fk line of aircraft into the U.S., with the Fk9 leading the parade. Fk-Lightplanes' Fk9 features a carbon fiber fuselage with a chromoly steel cockpit cage. The wings are carbon fiber, except that all control surfaces--including the empennage-- are aluminum. Handles A grip for the hydraulic brakes for mains provides a tactile differentiation for that control versus the trim lever, also in the center console. A mechanical flap handle alongside the center console deploys the flaps while an LED light on the panel shows the flap position. Seats A three-point shoulder harness/seat belt is standard as are two-tone seats A baggage compartment is located behind the seats for easy access in flight. Wings Side View Tony will import only the folding wing version of the 100-hp Fk9. However, individuals may order a non-folding wing airplane and/or an 80-hp version|if they're willing to wait a bit longer for the aircraft. The Fk9 is also available as a tail dragger, with a float option. Most of the aircraft Tony will import will be tri-geared airplanes, with a few tail draggers for pilots who prefer that configuration. Wing Fold. The wing folding mechanism up close and personal. The wing reportedly can be folded easily by one individuals. Simply pull the lever on the wingtip and swing the wing down and back along the side of the fuselage. Following Henry Ford's example to keep production simple, you can have the Fk9 in any color you want...as long as its yellow or white for now. With 300 aircraft delivered, the design is richer in history than many other LSA, but that doesn't mean production efficiencies don't make sense. While the airplane is available as a tail dragger or tri-gear, Fk-Lightplanes USA has pre-ordered mostly tri-gear airplanes, anticipating that most U.S. buyers will favor that configuration. Tail dragger enthusiasts may special order that version. This airplane began life under B&F Technik Vertriebs GmbH, a name derived from partners Dirk Breitkreuz and Peter Funk, who started the commercial enterprise. 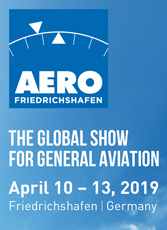 Now, Funk operates the company on his own and has adopted the worldlier and less cumbersome name Fk- Leichtflugzeuge, its English translation being Fk-Lightplanes. 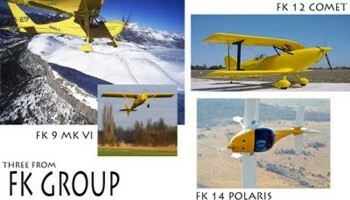 U.S. distributor Tony Anderson named his enterprise Fk-Lightplanes USA. 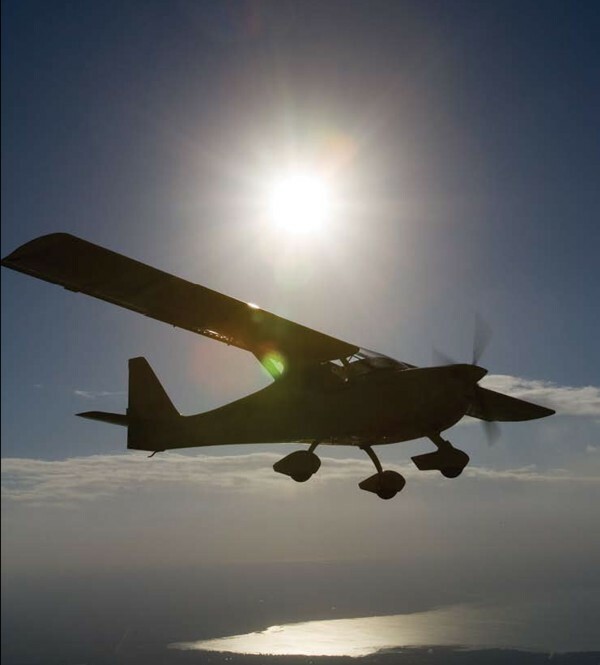 Based in Pembroke Pines, Florida, Fk-Lightplanes USA calls North Perry Airport home. The Funk name is storied in European light aircraft development, with more than a dozen original designs to its credit. Fk-Lightplanes today produces three airplanes, each quite different from the other: our subject airplane this month-the high-wing Fk9, the low-wing Fk14 Polaris, and a folding-wing biplane called the Fk12 Comet. I've had the pleasure of flying all three models, but I think the Fk9 may prove most popular with American LSA enthusiasts. Though designed and refined in Speyer, Germany, the Fk9 and its siblings are now fabricated in Poland by workers with decades of experience building Soviet fighters and transports. In June 2006 Fk-Lightplanes delivered Fk9 serial number 300 to a German flight school, its second Fk9 for training and rental. On the occasion of this sale, Funk announced the company would double its production output to meet rising demand, some of which is now developing in the United States. 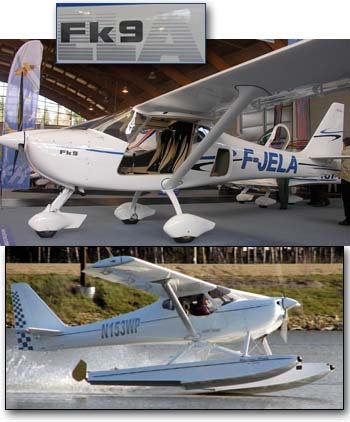 The Fk9 Evolution With 300 aircraft delivered, the design is richer in history than many other LSA. It is also a well-evolved aircraft. Its "Mark IV" designation indicates this is the fourth model of this airplane. The Fk9's steel tube fuselage started out as fabric-covered and progressed through a series of improvements to the present-day composite-covered airplane. Funk likes the crashworthiness of the steel tube structure in combination with the resistance to corrosion offered by the composite covering. Fk9's tail plane is constructed of aluminum, while the landing gear is a carbon fiber and steel combination- in either a nose-wheel or tailwheel configuration. The wings are carbon fiber, except that all control surfaces are aluminum structure with fabric covering. The Mark III iteration of the Fk9 added an optional folding wing, a feature that has reportedly sold many aircraft for companies like Kitfox Aircraft or the Kolb Company. But the Fk9's folding wing is very user-friendly; one person can handle the task in minutes. I've never seen a more efficient wing-folding system. After removing some fairing sections from the strut, you simply move a lever at the wingtip and fold the wing aft in mere minutes. 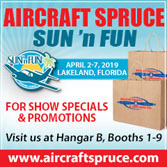 Given the shortage and cost of hangars at many airports, this option offers owners the opportunity to reduce costs by sharing a hangar or trailering the airplane home. Recently, Fk-Lightplanes shortened the Mark IV's wing by about 2 feet (to 29.9 feet from 32.3 feet) and designated that model the Fk9 B Mark IV. This short-wing version was certified in Germany with slotted flaps. Fk-Lightplanes said this also shaved about 9 pounds from the airplanes' empty weight, resulting in an increased payload and slightly better performance. The shorter wing reportedly is also less sensitive in turbulence, and the landing flare has been made easier. 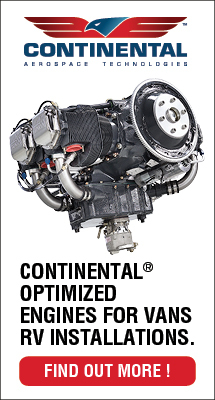 Improved stability in this model comes from optimized controls. Fk- Lightplanes said an enlarged vertical tail fin and some tweaking of the flap settings made handling more straightforward, even at lower landing speeds. 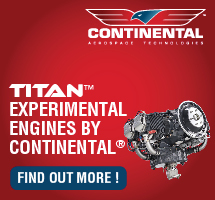 The company believes this will enhance the airplane's appeal to flight-training operations. The clipped-wing Fk9 B needed an increased angle of incidence, demanding a new fuselage mold. A side benefit of this change is improved forward visibility, which had been criticized on earlier versions of the Fk9. First-Class Cabin The high-wing Fk9 features side-byside seating, and each occupant can enter easily through gull-wing-style doors that open upward, with gasdriven springs holding the doors open. With the Mark IV, the door was widened to further ease entry; the extra space is at the front-lower corner of the door, which helps bring in your legs and feet. At 42 inches wide, the Fk9's cabin is similar to a Cessna 172. Average-sized occupants will just touch one another's shoulder, though larger American pilots will find the Fk9 snugger than some LSA. Everyone will appreciate the quality finish of the cockpit. The Mark IV's door is nicely formed to provide an armrest and a handgrip. Its closing latch works solidly. 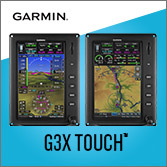 Both pilot and copilot have a lefthand throttle (on the panel) and individual right-hand joysticks, a natural feel for the majority of pilots. There's no handrest or armrest for the rightseat pilot, which may cause arm fatigue, but the left-seat pilot can use the left-door armrest. Most other ergonomic factors of the cockpit appeared well considered. The Fk9 I flew had an electronic instrument that offered much useful information, including fuel flow. It was a European instrument, but Americans can select from many U.S. electronic information systems. On the Fk9, the main wheel hydraulic brakes are operated by a centrally located control. The grip is secure for either pilot, and the brakes proved to be quite strong. The Fk9 I flew had a skylight window, which added considerably to visibility during turns. At my average height, I didn't have to lower my head to see laterally under the wing. It was also surprisingly quiet inside. Clearly Fk-Lightplanes invested extra effort to dampen noise in the cockpit. When I took my headset off, I noticed more wind noise than engine noise in cruise. It was much quieter than many general aviation airplanes I've flown. Led by German laws, European standards limit noise to 55 dB at full power at about 500 feet AGL-no louder than ordinary conversation. That makes the airplane's occupants as happy as the neighbors below. Light and Responsive I've test flown the Fk9 twice: first with the 80-hp Rotax 912 engine and, most recently, behind the 100-hp 912S with American distributor Tony Anderson. Both times, the airplane had the longer wing. (Tony will import only the shorter wing 100-hp model with the folding wing option.) The factory was experimenting with various prop configurations on the 80-hp version when I flew it, and the prop was not optimally pitched. Consequently, climb performance wasn't quite as strong as it could be; we averaged about 800 fpm. That prop configuration also affected engine performance; the tachometer never indicated more than 4,700 rpm, though it should have been in the 5000-plus rpm. Naturally this affected cruise a bit, too. With the 100-hp 912S, Tony suggested one notch of flaps for takeoff, and climb improved to about 1,000 fpm. The two position flaps-5 and 30 degrees-are actuated via a center console-mounted mechanical lever. An LED light on the panel shows the flap position. The 100-hp Rotax 912S reportedly lifts the new B-model shortwing Fk9 much more enthusiastically, at about 1,500 fpm. This is the powerplant/ configuration most Americans will buy, so climb, even in higher density altitudes, will be strong. I found the Fk9 to have a light control feel that reminded me of Kitfox aircraft. I also found the rudder a little more sensitive than the ailerons. But I adapted, and I believe most pilots will do likewise. Most LSA handle more like sport cars when compared to the sedan feel of a Cessna 172. Commensurate with that sports car feel, the Mark IV Fk9 offers fingertip flying. It took a little time to coordinate turns, as I was having some difficulty keeping the ball centered at first. The rudder is also quite responsive. The Fk9's roll rate is pleasantly quick; I'd estimate its 45-to-45 degree roll reversal time was about one and a half seconds. Both the ailerons and elevator are mass balanced, with the aileron mass disappearing neatly inside a specially made cavity at the wingtip, an example of German design and workmanship. After a few series of Dutch-roll coordination exercises, I gained a better feel for the Fk9's handling and was able to perform steep turns at 60 degrees. It seems the Fk9 loves to maneuver and won't wear you out. With the 912S, we held 100 mph at an economy cruise rate of 3 gallons an hour. The Fk9 can reach a 120-mph (104 knots) top cruising speed at 75 percent power. At full power in the 80-hp model, I saw a fuel burn rate of 3.5 gallons, much less than even an underpowered Cessna 150 could manage. Some LSA cruise a bit faster, but few can improve on the Fk9's economy. None of the stalls I performed in Fk9 produced a stall break, even with the stick all the way aft. During stalls, the nose showed no tendency to wander. Overall, the Fk9 felt solid, though I had the benefit of flying in smooth air. On landing, Tony advised a single notch of flaps with an approach speed of about 60 mph. You can approach somewhat slower with more flaps, but even at a minimal setting I found Fk9's landing to be straightforward. Have It Your Way Pricewise, the Fk9 falls about in the middle of the S-LSA range. In the fall of 2006, the basic Fk9 with the 80-hp Rotax 912 listed for $75,800. 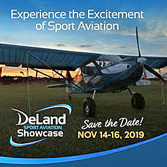 That model will be available in Europe; however, Fk-Lightplanes USA plans to import all short-wing models (the Fk9 B) with the folding wing and the 100-hp Rotax 912S as standard equipment. Tony believes that's what the U.S. market will prefer, and ordering standard models helps the factory maintain production efficiency. American buyers will be able to special order the 80-hp 912 model, but they'll have to wait longer for delivery. The 912S-powered short-wing model will list for $89,000, before radio and avionics packages are added. 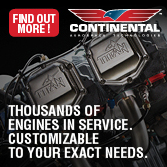 Standard components will include airspeed indicator, altimeter, compass, slip indicator, oil pressure and temperature gauges, cylinder head temperature (CHT) gauge, tachometer, hydraulic drum brakes, two-tone seat cushions, mechanical elevator trim, electronic flap position indicator, and 16-gallon fuel tank with electronic level indicator. The standard color is white with standard paint accents. The Fk9 is available either as a tricycle-gear or taildragger airplane, but Tony has opted to import more tricycle-gear models. The taildragger version is, however, the one adapted to floats, so Tony will have a few in his inventory. But, buyers will need to keep in mind that insurance could be more challenging to obtain for a taildragger. An unusual feature under the "Price and Options" heading on the Fk-Lightplanes USA website (www.Fk-LightplanesUSA.com) allows potential buyers to view the available options clearly priced, with each one assigned a weight value. That "configurator" allows buyers to see how their choices affect useful load and payload while it subtotals their purchase price as they add options. For example, an optional 5-gallon wing tank can be added to the standard 16-gallon tank. It is priced at $1,239 and adds 8 pounds of weight, not including the additional 30 pounds of fuel. 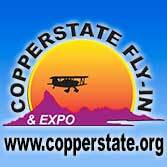 Cabin heating adds $600 and 2-1/2 pounds, but it will lengthen the flying season for pilots in northern climates. Given the Fk9's long history and its list of desirable attributes, I think Fk-Lightplanes USA may find a tidy business selling this attractive high wing. The Fk9 is a fine example of a light aircraft resulting from experienced western engineering combined with eastern European low-cost, highly skilled labor. The Fk9's agile flight qualities show the designer didn't forget the fun part. I encourage a demo flight at your earliest convenience. 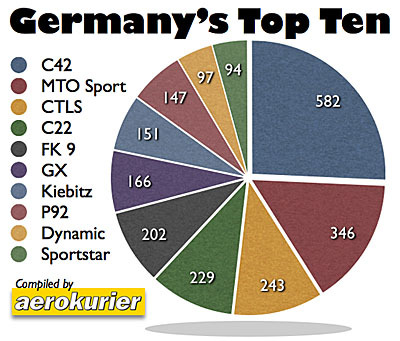 Notes: 1 *With the Rotax 912S and loaded with options; Fk9s coming to the USA, all with the Rotax 912S, reportedly have average weights of 600-615 pounds. This airplane began life under B&F Technik Vertriebs GmbH, a name derived from partners Dirk Breitkreuz and Peter Funk, who started the commercial enterprise. Now, Funk operates the company on his own and has adopted the worldlier and less cumbersome name Fk- Leichtflugzeuge, its English translation being Fk-Lightplanes. 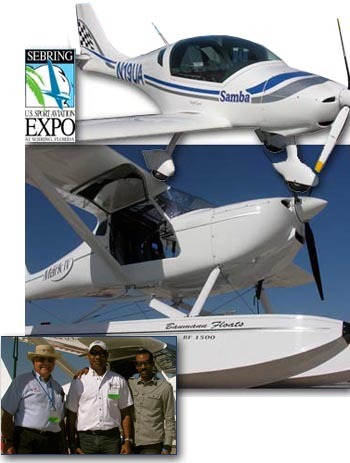 U.S. distributor Tony Anderson named his enterprise Fk-Lightplanes USA. 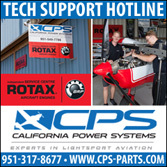 Based in Pembroke Pines, Florida, Fk-Lightplanes USA calls North Perry Airport home. The Funk name is storied in European light aircraft development, with more than a dozen original designs to its credit. 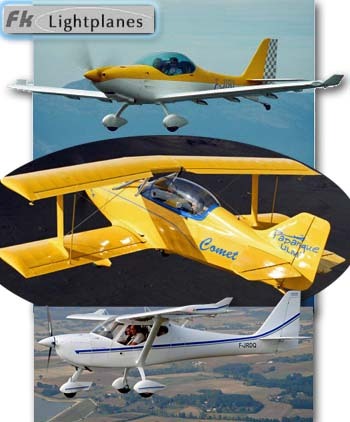 Fk-Lightplanes today produces three airplanes, each quite different from the other: our subject airplane this month-the high-wing Fk9, the low-wing Fk14 Polaris, and a folding-wing biplane called the Fk12 Comet. I’ve had the pleasure of flying all three models, but I think the Fk9 may prove most popular with American LSA enthusiasts. Though designed and refined in Speyer, Germany, the Fk9 and its siblings are now fabricated in Poland by workers with decades of experience building Soviet fighters and transports.